After twelve years on CBS Sports “97.1 The Ticket” WXYT-FM, the Detroit Lions are jumping to Cumulus News/Talk 760 WJR starting with the 2016 season. The deal with WJR, which served has the Lions flagship from 1948 through 1988, is for five years. WJR will serve as the originating station for all of the franchise’s network programming including the game broadcasts, pre- and postgame shows, weekly in-season show and additional offseason content. Game broadcasters Dan Miller and Jim Brandstatte are expected to remain in place. The Detroit Lions and Cumulus Media announced today a five-year broadcast partnership making News/Talk 760 WJR the flagship station for Lions football beginning in 2016. Additional terms were not disclosed. 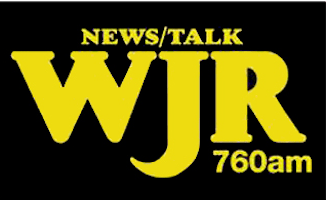 All Lions Radio Network programming, including live game broadcasts, pre- and postgame shows, the regular season weekly show and additional offseason programming will air exclusively on News/Talk 760 WJR. The team and WJR will extend the reach of the broadcasts with an extensive radio network across the state of Michigan and in northern Ohio. The Detroit Lions’ history with WJR dates back to when the team moved to Detroit in 1934 after being purchased by then WJR owner/executive George A. Richards. Lions games were regularly broadcasted on WJR from 1948-88.